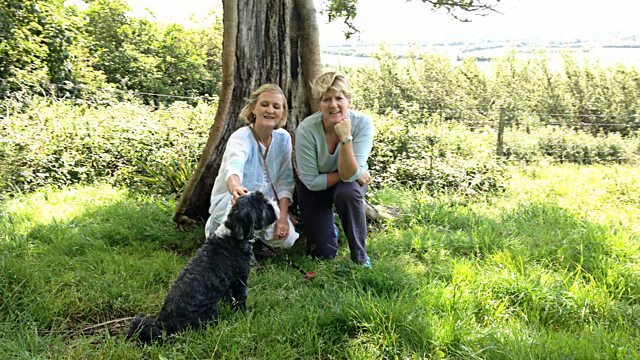 Clare Balding walks in north Somerset with Carolyn Savidge, who explains how walking and art have helped her deal with the loss of her husband. Clare Balding walks with Carolyn Savidge in the final programme of this series which has been themed Artists' Ways. In the first programme she walked with an artist who created outdoor artworks to help her to come to terms with never having had children. In this final programme, Carolyn explains how walking and art have helped her deal with the loss of her husband. Carolyn's walk leaves from her front door in the village of Bleadon in North Somerset, and takes her out onto the hills and levels of north Somerset. On the way she describes the written, photographic and sound based project she has created since losing her husband to cancer. It's a moving walk, but also very uplifting as Carolyn describes how embracing the landscape has helped her begin to move forward with her life. "No longer do you need to measure your life out in spoonfuls of sugar"